The Keewatin-Patricia District School Board (KPDSB) and C.U.P.E., Local 1939, representing Caretaking and Maintenance Staff have reached a tentative settlement within the Local Bargaining Framework. Details of the tentative settlement remain confidential until ratification by the Local as well as the Keewatin-Patricia District School Board. The parties are very pleased with the local bargaining process and are happy to have reached a local settlement. Both look forward to continued success in their local relationship serving the best interests of our students. For more information, please contact Sean Monteith, KPDSB Director of Education at (807) 468-5571 or Jim Favreau, President, CUPE at (807) 466 1341. Our staff and students are thrilled to be featured in the first Hockey Canada Skills Academy national newsletter for the 2015-2016 school year! Our staff continue to work hard to grow these programs and the early successes of students in the programs are extremely encouraging. Saturday, November 21, 2015 - The Keewatin-Patricia District School Board (KPDSB) and the Ontario Secondary School Teachers Federation of Ontario, District 5A, have reached a tentative settlement within the Local Bargaining Framework. The parties acknowledge that this has been a lengthy process, however, are hopeful that this settlement lays the groundwork for continued favourable local relationships that serve the best interest of students in the Keewatin-Patricia District School Board. For more information, please contact Sean Monteith, KPDSB Director of Education at (807) 468-5571 or John Dykes, President, OSSTF at (807) 737 0650. Every year we offer families an opportunity to provide feedback regarding the creation of the upcoming school year calendar. 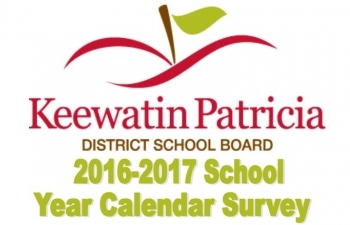 Please take a minute to fill out our survey for the 2016-2017 School Year Calendar by clicking on the link . The feedback provided by our families will be taken back to the Regional School Year Calendar Committee (comprised of five area school Boards including the KPDSB). Trustees met at Dryden High School on Tuesday, November 10, for a regular board meeting. Sean Monteith, Director of Education, along with KPDSB Hockey Canada Skills Academy staff from Sioux Lookout, Dryden and Kenora, and Dryden area students, presented the Hockey Canada Skills Academy Report. 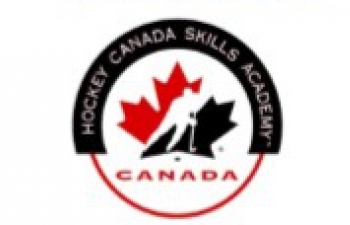 The KPDSB began offering accredited Hockey Canada Skills Academies in three of our communities this school year following several years of an extremely successful Kenora Hockey Academy program operated out of Beaver Brae Secondary School under the guidance of Dave Tresoor. With more than 300 students enrolled in hockey academy programs in eight KPDSB schools for the 2015-16 school year, the reach of the programs is vast and early success of the programs has far exceeded expectations. Trustees heard of inspiring and encouraging individual stories of students in the programs from teachers/coaches in various schools. Schools are reporting overall improvements in attendance, and engagement in school, for both students and their families, but also impressive personal growth in the students themselves. Most notably, staff are seeing increases in students’ confidence levels, a renewed sense of belonging at the school, pride in being a part of a team, the development of strong leadership skills, and an overall sense of comradery and supportive relationships being forged between students in the program and also with their teachers/coaches, all of which transfers into individual student success in the classroom. The Hockey Canada Skills Academies are supported through important partnerships with Hockey Canada, Canadian Tire Jumpstart Charities (who have purchased hockey jerseys for all of the students in the programs as well as full equipment for any families who couldn’t afford it, more than 60 students in the Sioux Lookout area alone), local minor hockey associations and hockey clubs, the Ontario Provincial Police, and many First Nation communities and local Native friendship centers. Without these partnerships, these programs would not be possible and the KPDSB wishes to extend our gratitude to our partners on behalf of our students and staff. For more information about our Hockey Canada Skills Academy programs, including names and contact information for coaches and programs in Sioux Lookout, Dryden and Kenora, please visit our website at www.kpdsb.on.ca. Joan Kantola, Superintendent of Education, presented the 2015-16 Special Education Plan report. The Special Education Plan is reviewed and updated annually with support from the Board’s Special Education Advisory Committee (SEAC). The plan guides our schools and special education staff in supporting and enhancing an inclusionary model of education for special education students in all of our schools and classrooms. With a focus on early identification and intervention, especially in areas of student mental health, providing pathways to support, increasing and supporting school-based supports, and increasing the use of assistive devices and applications, the plan covers a wide-array of supports available to our special education student and their families. For more information on the plan, please contact Joan Kantola at 468-5571 extension 236.